Indictments Likely from FBI’s Clinton Foundation Probe? 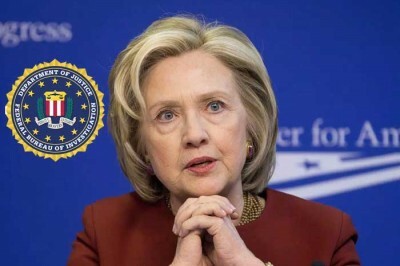 Whether Bill, Hillary and Chelsea Clinton are vulnerable remains to be seen.The FBI’s White Collar Crime Division is handling the investigation, with lots of indictable evidence aside from what WikiLeaks revealed. According to one unnamed source, “(t)here is an avalanche of new information coming in every day.” FBI agents are “actively and aggressively pursuing this case,” conducting extensive interviews. According to Baier, barring obstruction, one or more indictments are likely. Ongoing for around a year, Attorney General Loretta Lynch reportedly tried shutting the probe down. Days ahead of November 8, little more is likely to come out until after Obama’s successor is known. If Hillary, as seems likely, it’ll be the first time a president-elect, shortly to be inaugurated, will be facing multiple investigations for criminal wrongdoing, subject to possible indictment. What does that say about America’s political system too debauched to fix. Nixon: I deleted 18 minutes of recordings and had to resign as president. Hillary: I deleted 30,000 e-mails and I’m running for president.